DELIGHTFUL MOM STUFF: Valentine's Day Gift Ideas! Ok girls, Valentine's Day is exactly 16 days away! 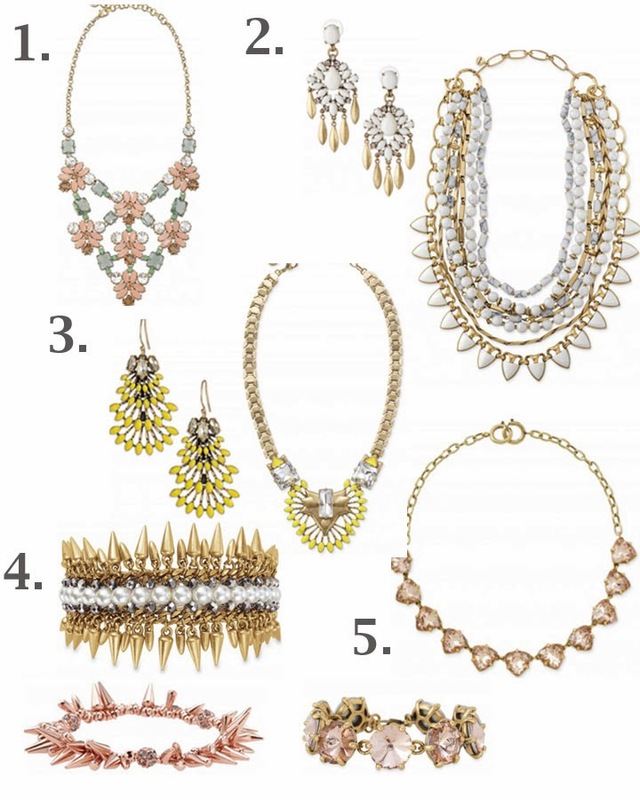 So I thought I would share some favorites from the new Stella & Dot Spring collection- I am nuts about all of it! Great ideas to give for Valentine's gifts! Make sure to visit my friend Christina's page to check out all of the new product- she can help you with anything you need- she has most of it and I am always wanting to snag it off of her! 4. The Jacinthe Bracelet ($59) is so cool and I LOVE my gold Renegade ($59)- so I am pumped for the Rose Gold! I always get a lot of complements on that bracelet. 5. Again, the peach! The Somervell Necklace ($59) and the Bracelet (39) would be so much fun to stack! I saw the jewelry you posted and ended up ordering the Renegade bracelet in silver from your friend Christina! It shipped so quickly, and I am wearing it today! I love it because it's so unusual and different from what I normally wear. I'm even thinking about ordering it in the rose gold color! Thank you for posting the Valentine ideas!! Oh I am so glad Jane, thank you for letting me know! I LOVE that bracelet- I get so many comments on it! Hope you are well! unique gifts is an exclusive online gifting experience specialising in luxuriously packaged gift boxes containing high quality intimate apparel including lingerie and sensual-themed accessories.